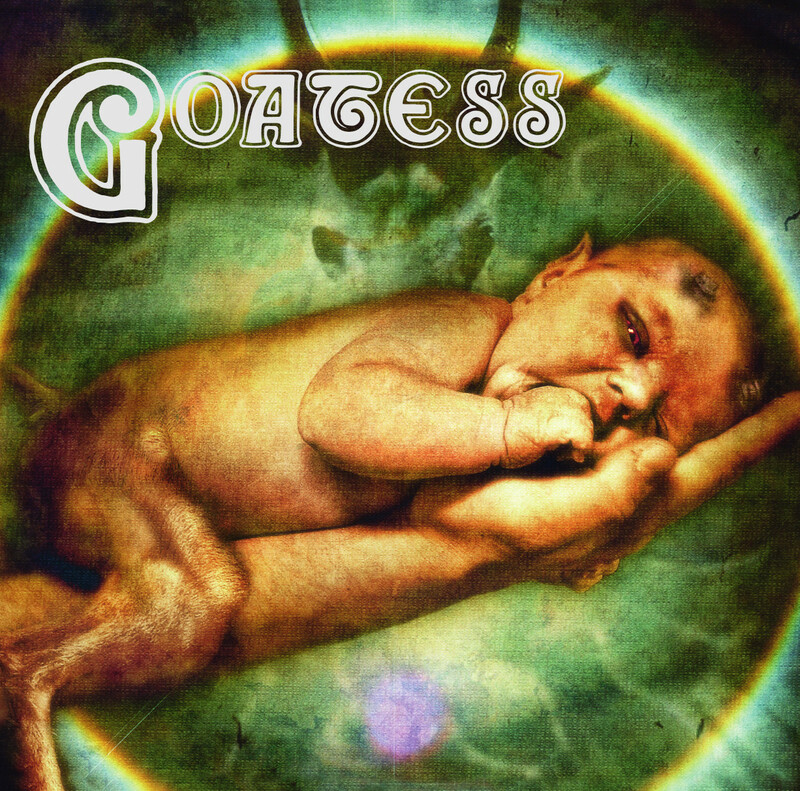 Jayaprakash Satyamurthy reviews Goatess‘ self titled debut released via Svart Records. Doom vocalist Chritus Linderson is on a roll. He took a hiatus from music, then returned to the doom fray at the helm of Lord Vicar, the brainchild of Kimi Karki (ex-Reverend Bizarre), releasing at least one album that will be counted among the true masterpieces of the doom genre in the 21st century. Now, he’s launched another band, Goatess, and its first album may well be another addition to that list of instant doom classics. What sets this album apart from a lot of traditional doom revivalists, apart, that is, from the credentials brought to the table by Chritus? Most of all, the music. Yes, it’s clearly rooted in traditional metal, orthodox doom and a snifter or two of vintage stoner metal, to say nothing of the 70s hard rocking legacy underlying all these styles. But there’s nothing staid or stale about the way this band approaches its idiom. Rather than a whiff of mothballs, these songs evoke the heady, ozone-laced atmosphere that precedes a thrilling thunderstorm. Consider the opening track, ‘Know Your Animal’. Commencing with a pedal-point riff that’s pure traditional metal, it moves into a power chord driven, fuzz-saturated refrain that cleverly works in references to the original melody. Chritus sings like a more craggy, yet soaring Ozzy, openly referencing the batmuncher’s delivery on ‘Never Say Die’, yet the song and the singer retain more original identity than the Orchids of the world. ‘Alpha Omega’ starts with a riff that is pure traditional doom: slow, melancholy and earth-shaking. Chritus cuts in with bluesy, confrontational vocals over a lurching, staccato riff, and then launches into a plaintive, wailing chorus over a vast, melodic riff. The changes are so organic, so fitting that the song pulls you along effortlessly. Songwriting of this caliber goes beyond questions of influence and style; its sheer excellence cannot help but draw you in. Then there’s ‘Ripe’, where the bass introduces an instantly memorable, slow, bluesy figure that the guitarist then picks up, adding depth and warmth. We’ve heard this gambit before, but the riff in question is so good, the delivery so assured, and the subsequent changes so effective that there is no questioning the validity of this old-school-rooted approach or the freshness which inspired music-making like this brings to the mix. I could continue praising each song in a dreary track-by-track commentary, but let me just call attention to the kraut-rinsed jamming on ‘King One’ and the slightly Eastern, very psychedelic touches on ‘Tentacles of Zen’. It’s hard to believe this band began as a weekend jam thing. There’s not a single throwaway element: all the songs stretch over 7 minutes (with a solitary exception, which is anyway part of a longer song-suite), and that running time isn’t the product of shapeless noodling but of satisfying, long-form structures packed with memorable melodies, riffs and vocals. It isn’t just a Chritus showcase, although the range and variety he displays is dazzling – Niklas is a versatile guitarist with mountains of feel and Findus and Kenta prove to be a dynamic, tasteful rhythm section, always wonderfully idiomatic. Goatess shows the would-be old school doomsters of the world how it’s done: not with slavish imitations of the past but by building on a legacy in an imaginative, individualistic way, neither intimidated by nor disdainful of influences. In other words, it’s a bloody good doom-metal-hard-rock-stoner-psych album and you really ought to go give it a listen. Today i’ve dug up some interesting local metal. The word ‘local’ here is by no means derogatory and kindly view it as a reference to our own Indian scene so save your whining for another day. Today we visit two bands, who have consistently managed to entice us with glimpses of excellent musicianship. Goddamnit! I’ve never even had an inkling as to the band’s existence until very recently. A hundred lashes from a metal barbed whip is what i deserve. Nothing can make up for this gross ignorance . 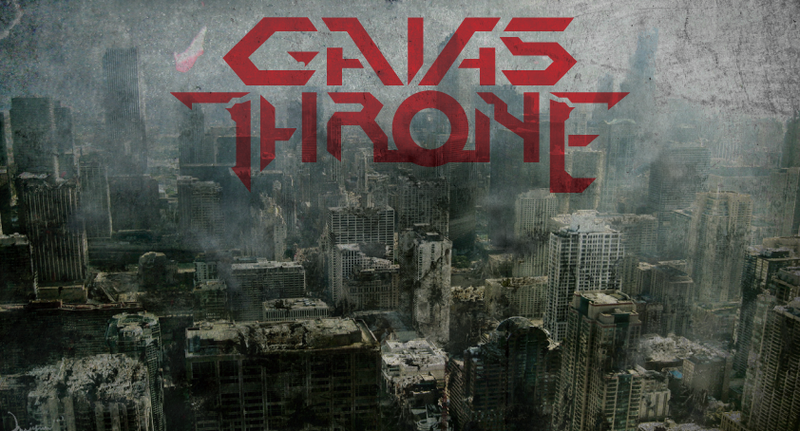 Now for the rest of the uninitiated idiots out there, Gaia’s Throne is a heavy metal/ power prog band from Pune. The mention of the genre alone is something of a breather from the wave after wave of bad metalcore that seems to have the country in a stranglehold . The band has just released two tracks, which includes a self titled track and a second one titled ‘Contact’. After having checked the song, for some reason one word popped up. ” Rishloo”. Vocalist Siddharth’s vocals sound strangely similar to that off Rishloo’s Andrew. The instrumentation employed does seem to have a flavor very similar to the Rishloo styled of prog. And yet Gaia’s Throne holds their own, weaving ethereal melodies with some breathtakingly beautiful vocals. More often than not progressive bands try to do a tad too much when it comes to instrumentation and pretty much shoots it over the roof. But Gaia’s throne seems to blend in things nicely, every single part of the song segue into the next with relative ease. This makes it a much more cohesive listen and high repeat value . And oh! did i mention that the production cannot be really that far from perfect. It highlights each and every nuance played in the band so the listener may pick it up within the first few listens. Then comes the lyrics. Set in a futuristic yet dystopian setting, both the songs slowly unveil the multi- species storyline at hand. I wouldn’t want to go further into the deep lyricism for you can follow them all here at their personal blog. I stress you check the entire blog, which is a great read and you’d probably sense the extend to which the band has gone to churn out this beauty. Checkout both these songs below and also accompanying them is a lyric video of the song “Contact”. 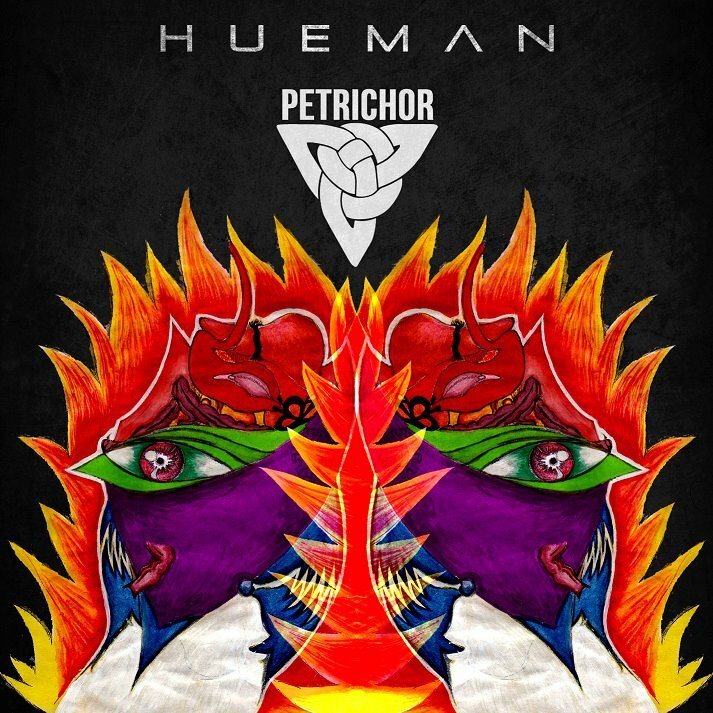 Next up is Petrichor. Everyone who has stumbled across our compilation might find this name pretty familiar. Their sheer ability to write grooves that straddle the thin line between extremity and progressiveness is what got them there. The cover art alone is a perfect visual description of the kind of music they have in store for the listener. So why the re-mentioning them you ask? Well they have just released the entire stream of their debut EP ‘ Hueman’. Take caution though, for these riffs might just shake your balls off. The entire EP was tracked and mastered at Refractor Studios which is co-owned by members of Noiseware. Listen to the entire stream below.